Jappleng is aiming to provide the best of all that is centric to the Japanese language, culture and community. This lesson series called "JPLearn!" is a free Japanese language course. To take advantage of all of our features, and available lessons; you will need to first create an account with us. It takes no more than a minute of your time and you’ll be able to track your progress, earn achievements, take part of our community and most importantly have complete access to all our lessons. Without an account, you will only be able to get half of the lessons. If you haven’t already, you may register an account by clicking here. Before stepping foot into the learning grounds we would like to establish the methods that we use to teach Japanese. While Jappleng University as a whole teaches more than just the language, JPLearn! focuses primarily on the language itself. Should at any time you wish to learn more about a given subject such as details about particles, or grammatical structure there are many other lessons outside of JPLearn! developed by other teachers and tutors from Educational institutions and the community. Those lessons can be found in a number of categories in the education section. We assume that you have no prior knowledge of the Japanese language and culture and therefore all you need is a registered account with us. Students are expected to practice daily and are encouraged to work with others in person and/or around our website if possible. Each lesson is meticulously written and in a way that makes most sense for people. Rather than providing many new words to memorize, we focus heavily on strengthening the student's foundation of the language before implementing more difficult concepts. New vocabulary is learned with each lesson and by the end of the JPLearn! course, students are expected to be capable of living in Japan on their own. It is important to not rush through content and to take time to absorb the material and practice with fellow students around Jappleng and in person. We have a saying "If you cram, you will jam" which means if you cram the material all at once without putting it into practice, you won't be able to use in in real life situations and perhaps forget the material weeks or months later. Japan has no National flower. Some believe it's the Chrysanthemum because it is used in the Imperial Seal, while others believe it's the Cherry Blossom because of its popularity and celebrations. Jappleng is always expanding while improving its existing content. 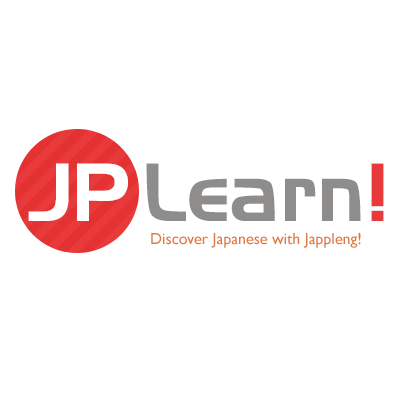 If you feel that you’ve gained much from Jappleng, please let others know and perhaps in time you may like to try other courses, create or join a club (can be study or of a Japanese interest), participate in our exclusive social network called J-Spot Social, practice your skills in our game room, and many more! There are many other fun things which supports our goals to make your Jappleng experience an exciting one. We most certainly love feedback, so please let us know anything you like, dislike, hate, and/or adore about Jappleng (in a constructive manner please). We will do our best to improve the quality of any given article on this site. Thank you and good luck with your education! Now that you have read this introduction, you may complete the lesson by doing today's practice homework assignment. The way our education platform works is that after a lesson, students are often given an assignment(s). Once the assignment is collected, the student can proceed to the assignment page to complete it. Generally with JPLearn! there are no deadlines but some teachers may require them for their own course. Upon completing the assignment, the student will be graded by either a grade mark or pass/no pass and may proceed to the next lesson. Sometimes there will be quizzes, tests, and other things to help you track your skills. This cycle continues until the end of the course. Perfect scores are denoted with a star. Good luck your your studies and once again, welcome to Jappleng University!